Share Today, Fierce Blogs was belofied once again! The country's leader when it comes to specialized field of cosmetic sugery, The Belo Medical Group, once again hosted a blogger's affair that was graced by Dr. Vicki Belo, Albert Martinez and Zsazsa Padilla. In fact, this special event was the second roll the Belo Group hosted this year for a few chosen bloggers. If you missed my blog about the first event, you can still read it here. On the said event, Fierce Blogs had a one-on-one session with the Beauty Mogul, Dr. Vicki Belo. The Belo Blogger's Night hosted today highlights the beauty spectacles Belo Med has to offer to everyone. Truly, I am amaze on how they have revolutionized beauty in all facets you could imagine. From non-invasive and surgical procedures, they have dominated our country and now claiming their rightful mark globally. Like the first event, Belo Blogger's affair was again intimate at The Establishment in Bonifacio Global City, In fact, Fierce Blogs was likewise invited to attend another event happening on the same time but had to decline it. If it's all about Belo and beauty, everything else is secondary for that matter. I just cannot miss the beauty lectures Dr. Vicki conducts during her events! I could say, this is really the highlight of every Belo event I have attended. Not only do you get the chance to meet the latest Belo endorsers, you also leave the event with additional knowledge about the science of beauty. Nowadays, you really have to empower yourself on how to look younger your actual age! To say it in our local tongue, Bawal ang mukhang matanda sa panahon ngayon (Looking old nowadays is not acceptable)! With Belo having to take care of your skin & body, you can only achieve the best in you no matter how young and old you may be. The works of Belo Med was showcased through the looks of Zsazsa Padilla & Albert Martinez; both celebrities graced the event and shared to us how ecstatic and satisfied they are. As the Doctor to the Star put it, “Zsazsa is the epitome of what Belo stands for. She is beautiful and intelligent. She is a wonderful wife, mother and friend. At 47 years old, she is showing the world how a woman can defy aging with the help of Belo.” In fact, Zsazsa is probably the most loyal patient of Belo with 15 years of partnership between them (she had her first treatment in Alabang Clinic). Now, if you ever wonder what are the favorite Belo treatment Zsazsa is getting, Fierce Blogs will reveal them to you, now! If there is one favorite treatment Zsazsa has, that would be the Obagi Oxygen Facial. This type of facial is designed to improve the quality of the skin by the use of oxygen therapy. This gives the skin a better blood circulation to help improve its texture. From a tired and sagging skin, you'll achieve a healthier, younger-looking look. Then there's the Sculptor Plus Treatment which is also one of Zsazsa's favorite. It effectively tightens and contours both her face and body. Recently, she had the Ulthera procedure done, a 30-minute, non-invasive treatment that uses focused ultrasound to target the deep layers of the skin allowing tightening and lifting making her look several years younger. As The Divine Diva shared to us, “Belo really maintained the skin that I want and I can go out without makeup. With the technology nowadays, everyone has a cellphone or camera. I’m happy because I am photo-ready anytime even without wearing make-up!” And with that statement, Fierce Blogs couldn't agree more. Now that's what you call, The Beauty Secret of Zsazsa revealed on Fierce Blogs! If there was a beauty in the house during the event, we also have the debonair/hunk, Albert Martinez. Can you actually believe he is 50 based on his looks? I don't know about you but seeing him 4 steps away from where I was seated, I could not really tell. I mean, his face and body looks very young and fit. As the veteran actor uttered, “I was really scared about age as a number but now that I am 50, I feel the same way and I am even more active now. I bike, I wakeboard, I run. Nothing stops me from doing outdoor activities nowadays.” Just like Zsazsa, Albert shared to us how he was able to achieve his overall look. Looking fit and young is really within our reach nowadays. There's really no excuse! That's why I am seriously considering MesoHair Treatment to help improve my thinning hair. If that time comes, I make sure to blog every step and experience I would have. Watch out for that blog in the future. 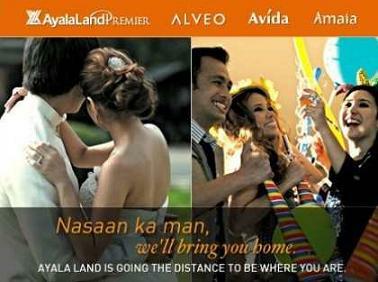 To Belo Med, thank you for once again inviting Fierce Blogs on your event. But most of all, thank you for the ZO Products you gave. Fierce, fierce indeed! 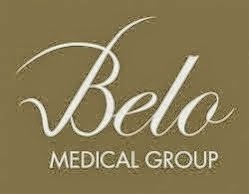 Telephone number of Belo: 819.BELO (2356) Philippines and +310.742.4843 International. More photos will be posted on Fierce Blogs tomorrow. Kudos to you Fierce Blogs! Zsazsa is really the prettiest in our local showbiz. Jen P.